When will be The Restaurant next episode air date? Is The Restaurant renewed or cancelled? Where to countdown The Restaurant air dates? Is The Restaurant worth watching? TV3 has today revealed the six celebrities who will be donning aprons for the brand new series of The Restaurant, which airs on Thursday 23rd March at 9pm on TV3.First up in the kitchen will be Grainne Seoige. Joining Grainne over the six-part series will be professional snooker player Ken Doherty, fashion experts Sonya Lennon and Brendan Courtney, Rose of Tralee winner Maria Walsh, entrepreneur and businessman Bobby Kerr and broadcaster Anton Savage.Each celebrity chef will have to impress the palates of critics Marco Pierre White and Tom Doorley along with a guest critic each week.They are all tasked with creating a top-class three course menu using the finest ingredients. The chefs will be hoping to tickle the critics' taste-buds in the hopes of being rewarded with a five star seal of approval.During service, the celebrities will get instant feedback in the kitchen to their menu from remote cameras and microphones covering the dining room.The identity of the celebrities will remain a secret to the diners and the critics until service is over, at which point the celebrity will step out of the kitchen and face the critics in front of the diners to find out their star rating (from 1–5). Columnist and broadcaster Ciara Kelly takes on the culinary challenge, preparing a menu - including wild mushroom risotto - for Marco Pierre White and a table of resident critics. 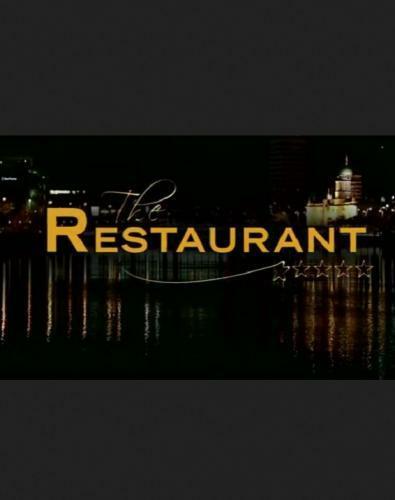 The Restaurant next episode air date provides TVMaze for you. EpisoDate.com is your TV show guide to Countdown The Restaurant Episode Air Dates and to stay in touch with The Restaurant next episode Air Date and your others favorite TV Shows. Add the shows you like to a "Watchlist" and let the site take it from there.